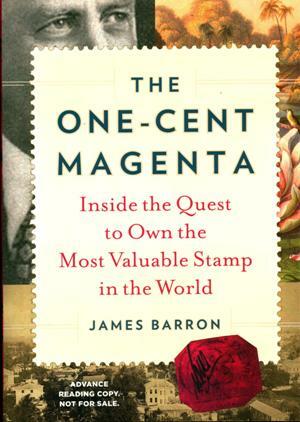 The One-Cent Magenta: Inside the Quest to Own the World’s Most Valuable Stamp tells the story of the rare stamp that was sold at auction for $9.5 million in 2014. Written by New York Times reporter James Barron, the book was called “delightful” by a review in the Washington Post. You can read an excerpt on Amazon.com. It is also available for borrowing from the APRL. And, if you are attending the March Party stamp show in Cleveland, you can hear a talk by the author.